An assault by auto charge is a serious felony offense in New Jersey which, if arising in a municipality in Morris County, will be prosecuted by the Morris County Prosecutor’s Office in the Morris County Superior Court in Morristown, New Jersey. Our law firm has successfully handled thousands of criminal cases in New Jersey, in Superior Court (indictable/felony level offenses) and Municipal Court (disorderly persons/misdemeanor level offenses). The firm’s managing partner, Travis J. Tormey, has been cited as a legal authority in various areas by AOL, the Asbury Park Press, and the Bergen Record. In fact, Mr. Tormey was recognized as a top 10 criminal lawyer in the state of NJ by the American Jurist Institute and has a perfect “10.0” rating on Avvo.com, an attorney rating service. In addition, Christopher Perry was recently named a 2018 Rising Star by SuperLawyers in the area of criminal defense. Our former Morris County Prosecutor and criminal defense attorneys possess the tools to defend you or your loved one. Give us a call anytime 24/7 for a telephone consultation toll-free at 866-949-6948, or you can use the online contact form. A member of our criminal defense team will be happy to answer any questions you have and provide you with an honest assessment of your case. Assault by auto, or vehicular assault, charges in New Jersey are criminalized in the New Jersey criminal code under N.J.S.A. 2C:12-1(c), which provides in pertinent part: § 2C:12-1(c). (c) A person is guilty of assault by auto or vessel when the person drives a vehicle or vessel recklessly and causes either serious bodily injury or bodily injury to another. 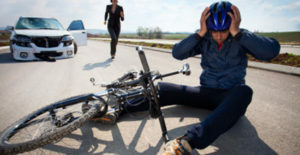 Assault by auto or vessel is a crime of the fourth degree if serious bodily injury results and is a disorderly persons offense if bodily injury results. (2) Assault by auto or vessel is a crime of the third degree if the person drives the vehicle while in violation of 39:4-50 or 39:4-50.4(a) and serious bodily injury results and is a crime of the fourth degree if the person drives the vehicle while in violation of 39:4-50 or 39:4-50.4(a) and bodily injury results. There are typically three scenarios in which an assault by auto charge arises. First, when a driver acts with the purpose or intent to collide with a victim. The degree of a charge for an intentional collision hinges on the nature of the injury suffered by the victim (e.g., serious, significant, minor). Second, when an individual acts recklessly (e.g., driving while intoxicated, reckless driving, extreme speeding, etc.) and this recklessness results in injury to another person. Whether this conduct is a second degree, third degree, or even fourth degree aggravated assault depends on the extent of the resulting injury. Third, an assault by auto arises when an individual causes bodily injury while fleeing or eluding police in violation of N.J.S.A. 2C:29-2(b), or while joyriding in violation of N.J.S.A. 2C:20-10(c). This variety of assault by auto is also a second degree crime. If a victim dies as a result of the crash, the prosecutor’s office will decide whether to charge the driver criminally and to what degree. The range of charges can include murder, aggravated manslaughter, reckless manslaughter, or death by auto. As you can see, the penalties for an assault by auto charge can be severe. As a result, it is imperative that you contact an experienced criminal defense lawyer to represent you. When you choose us to represent you, our lawyers will guide you through the process and walk you through your options. Our experienced criminal defense attorneys know what it takes to help you beat your charges. Give us a call anytime 24/7 for a telephone consultation toll-free at 866-949-6948, or you can use the online contact form. A member of our criminal defense team will be happy to answer any questions you have and provide you with an honest assessment of your case.